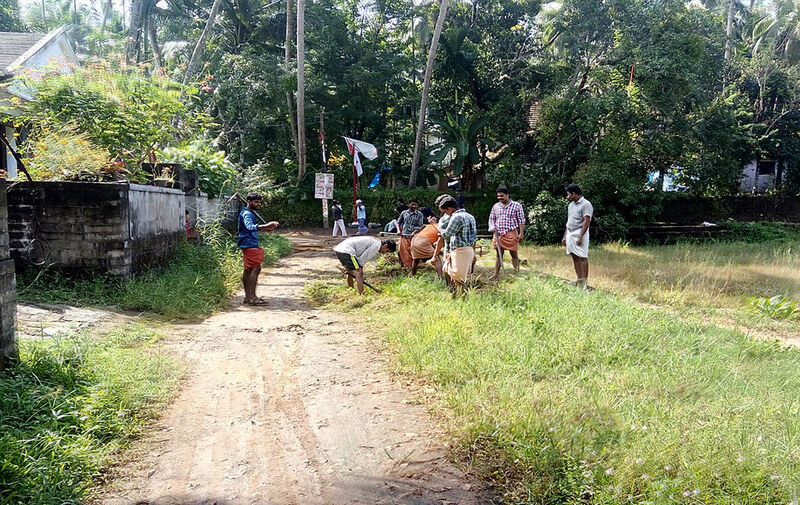 On 5 November 2017, Ramakrishna Math at Koyilandy, Kerala, conducted Swachha Bharat Abhiyan (Clean India Campaign), to mark the 150th Birth Anniversary of Sister Nivedita. 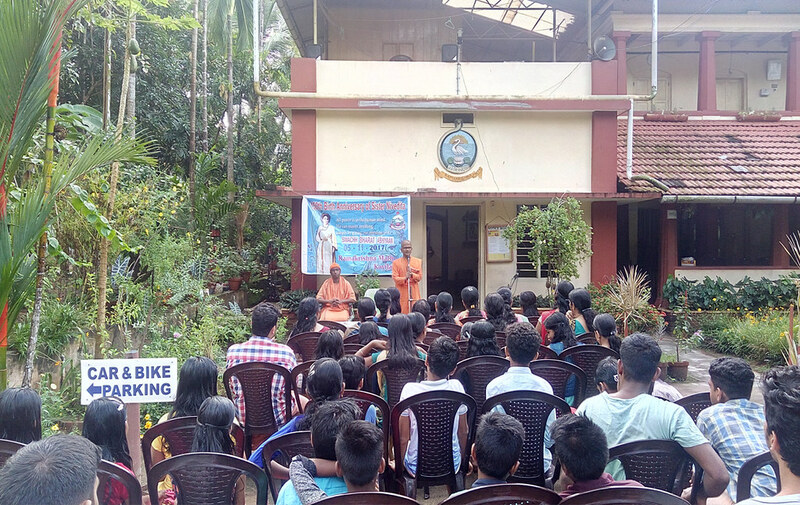 The programme began with inaugural speech about significance of Swachh Bharat in the name of Sister Nivedita, at the Math premises. 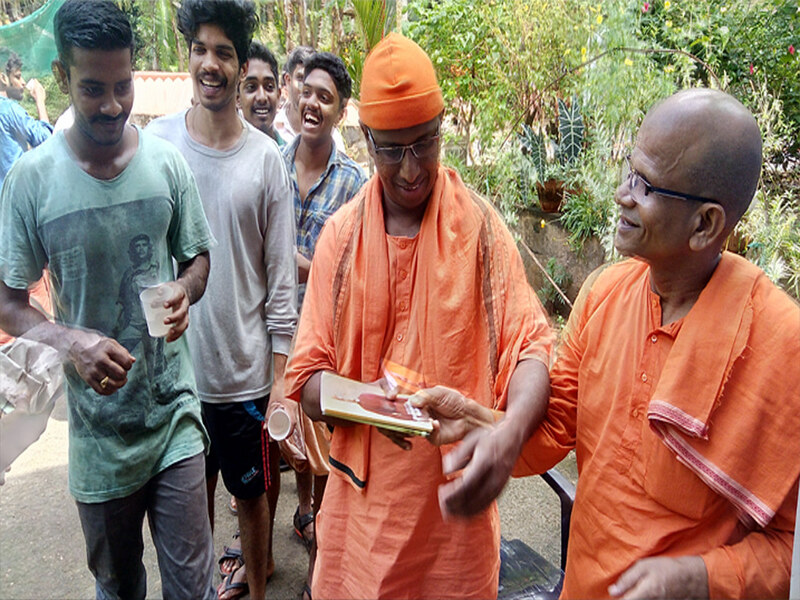 Swami Dharmapurnananda, from Ramakrishna Mission Sevashram, Kozhikode, addressed the gathering. 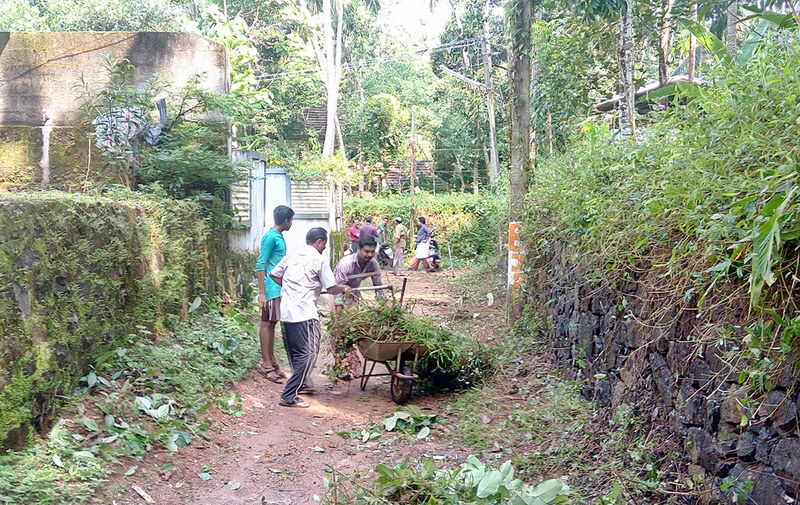 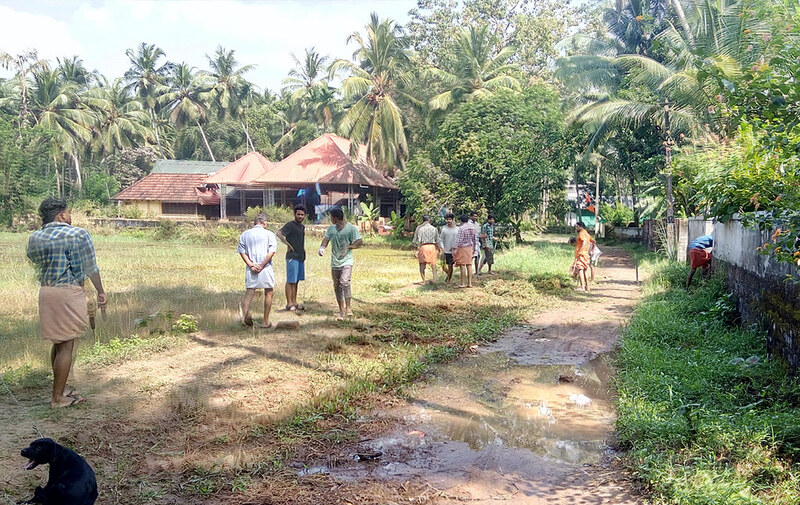 Nearly 30 young local people, some students (GAP) and few devotees participated in the programme, who started cleaning the entire area of the Math Streets and nearby ‘Anthatta Devi’ temple compound areas. 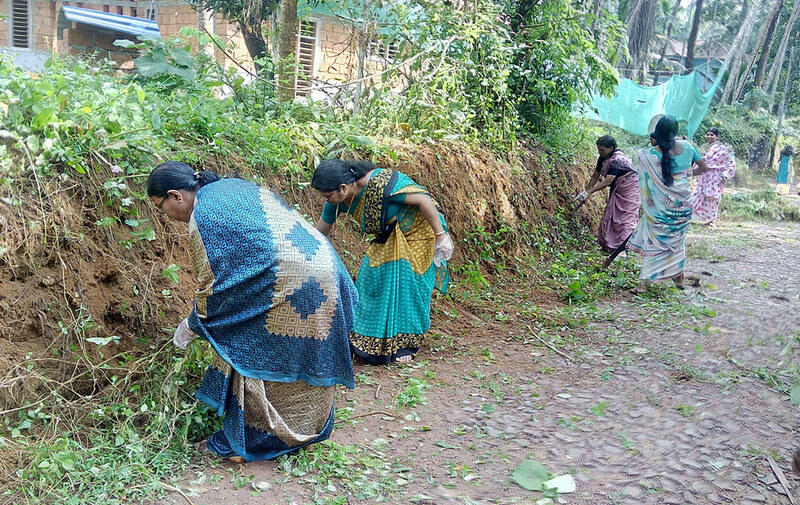 After cleaning the area, food packets were distributed to them. 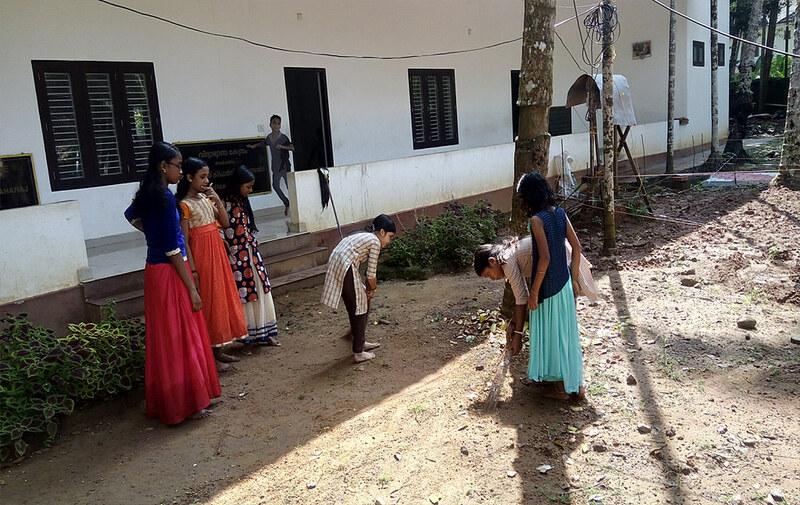 Cleanliness Drive by our Koyilandy Ashrama, in Kerala, on 5 November 2017 on the occasion of 150th Birth Anniversary of Sister Nivedita.